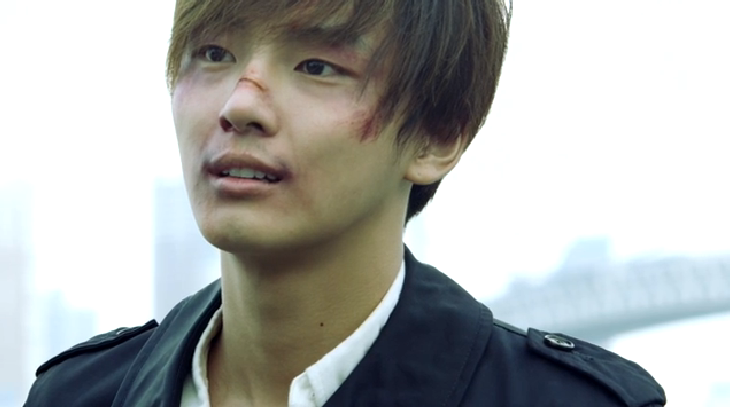 So here is the final half (or rather third…) of Japanese internet drama BRAND GUARDIANS episode 13. Ah, and as this is the final episode, I have a song dedication. The song is from the 3rd OST from hit anime Cowboy Bebop—“Words that We Couldn’t Say” sung by Steve Conte with lyrics written by the awesome Yoko Kanno. I think it’s very fitting for this drama. B starts with Woo Joo immediately narrating what happened after his conversation with Luna on Christmas Eve. Just like in 13A they spent the entire night walking aimlessly along the bay. Woo Joo felt Luna did not look behind her (to where he was following) as if to rid herself of the sadness of crying be herself for so long. That night Woo Joo had one more important thing he had to say to Luna, but he just couldn’t say it. Later Sakurai reveals that he has partnered with a London-based creative agency with offices in London and New York. Woo Joo is shocked to hear that Sakurai is leaving for London. Sakurai wishes for Igarashi (Taka-chan) to finally become independent. 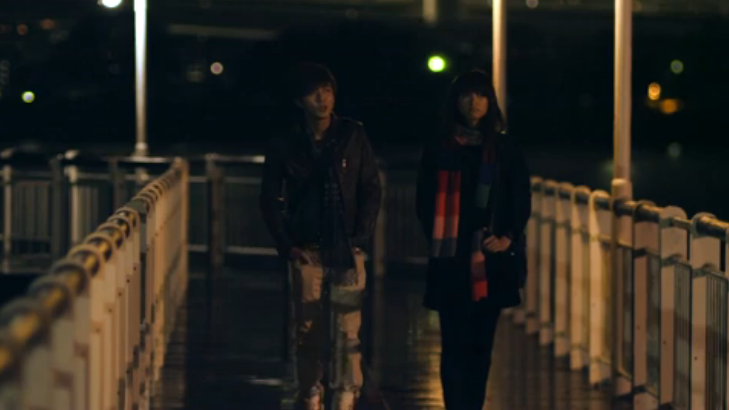 Sakurai then asks Woo Joo to come with him to London. Without any hesitation, Woo Joo happily accepts (in Korean). He then backtracks and accepts this proposal in Japanese. Sakurai laughs at the eager boy. No hesitation whatsoever. Woo Joo will have to stay a year or more—can he do that? Of course. When will he be going? Sakurai says it’s sudden, but around Christmas time. We then go back to Christmas morning. Woo Joo comments about how he loves the early morning time where it feels like he can hear his heart. He always wonders how it can be so quiet at daybreak—it makes him feels as if he’s all alone in the world; however, he is not alone. Someone out there is someone whose heart is connected to his. So far, so good. It’s just like 13A. Again we get to hear how Woo Joo could never forget the memory of Luna and always thought they were connected and would meet again. Woo Joo then reveals how he found Luna through Facebook by searching for her name which uses such unique characters. He talks about how she was the only one and how he wasn’t sure if she was the right one or not until he heard that her father passed away when she was three. An unbelievable miracle occurred. 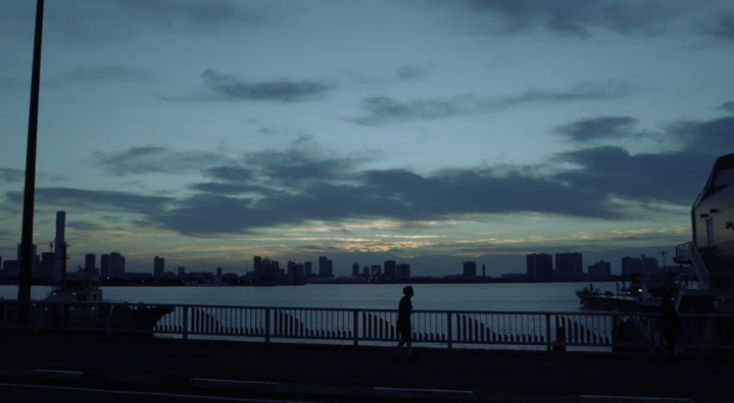 He then asks if she knows what his first Japanese words were—Aoi Luna. The first words she said to him while she was crying after the accident that were burned into his heart. We then change from the A as he immediately says right after that he is grateful to have met her and that he loves her. He then pulls Luna in for a kiss. This kiss, while sweet, seems a whole lot more fake than the initial one for 13A. Also, there is no talk of pursuing their mutual dreams and waiting for each other. Hmm. We then cut to later where a new assistant drops off the clothes instead of Woo Joo (how we started 13A). Luna tells him Misaki should be out of a meeting soon and the assistant walks around looking at samples. 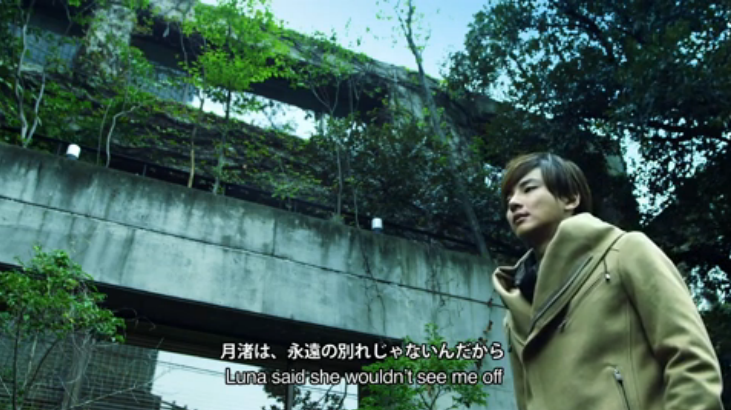 At this time Luna gets a call from Ren (who didn’t appear at all in 13A). Luna asks how he’s doing at HQ and he reveals he’s a full blown workaholic. He then asks if she has time to talk. He reveals that Sakurai told him that Woo Joo is going to London. This news shocks Luna. Luna waits for Woo Joo after work. He comes out surprised to find her. What’s wrong? She says she has something she needs to ask him. The two then go for a walk. Woo Joo reveals that he’s going to London and asks if she wants a souvenir. Say what? Woo Joo doesn’t say too much more and just says it can’t be very expensive. Luna doesn’t give him a present idea, but demands to know what he means. Woo Joo straightens up and turns to face Luna. He apologizes to her. He had wanted to tell her on Christmas Eve, but he couldn’t bring himself to. He told her about how music got him into fashion, right? That’s why he jumped at the chance to go to London. He may still be at he bottom, but he doesn’t want to give up on his dream. No matter what, he’ll persevere. He wishes to leave something behind. Woo Joo says he doesn’t want any regrets so that’s why he wishes to go. Luna asks how long he will be gone for. A year? two? …maybe more. He truthfully doesn’t want to leave until he’s learned all he can. It may be selfish, but he wants to know just how far he can go. Luna smiles at him and tells him to go and do it. She will be working her hardest as well. Woo Joo smiles and thanks her. 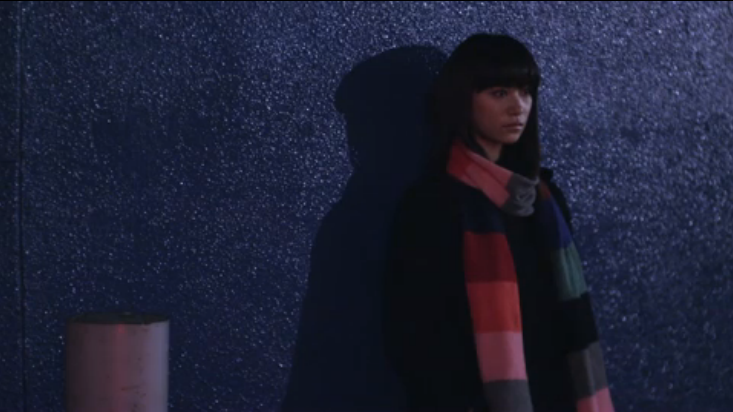 So looks like in 13A it’s Luna who asks Woo Joo to wait on their love while she pursues her dreams. This time it’s Woo Joo who is going to pursue his dreams. He wants to ask her to wait for him, but can’t bring himself to say the words. He’s certain Luna felt the same way. What the heck. That’s it!!!!!!!!!!!!!!!! We just have Woo Joo walking away with his suitcase. While NOT unsatisfactory, I prefer 13A. Which ending do you prefer? Although, I have a feeling, like with episode 6, it’s the B episode that is truly the more “correct” version. Woo Joo holds himself back from love now and goes off to pursue the dream he’s always wanted leaving Luna to pursue her own dream. The next time they meet, will they have accomplished everything and finally gotten their feelings all sorted out? The official website that streamed the drama no longer exists. You may be able to find ripped versions on torrent sites, but I don’t think you’ll find a place that streams it.